Hoppers Indoor Sportz caters for both Cricket and Netball running several competitions over different days. To view the current leagues, ladders & standings just click on our Ladders & Fixtures section. 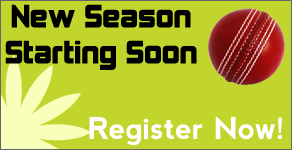 If you’re interested in playing with Hoppers Indoor Sportz, give us a call or click on the Registration section for more information. Indoor Cricket runs on Monday, Tuesday & Wednesday nights. Teams are 8 a side split over 5 grades, and we play to the ISV 2003 rules. We also have a JACKPOT BALL:- The first ball score of each batting pair is doubled, so a 4 becomes an 8 and a wicket (-5) becomes -10. A 50 run partnership is rewarded with a FREE drink from the kiosk or bar to a value of $4.50 each.